Prof. Abdelhafid Belarbi, AFU President, met AFU students yesterday in an Open Meeting organized by the Deanship of Student Affairs marking the beginning of Spring Semester for the Academic Year 2017 – 2018. Prof. Belarbi welcomed the students and wished everyone months full of vigor and encouraged discipline and hard work to receive the rewards of their labor by the end of the semester in the form of high marks and scientific expertise. He also urged the students to review the university’s regulations by reading the Student Handbook published on AFU’s website and coordinating with their respective academic advisors. 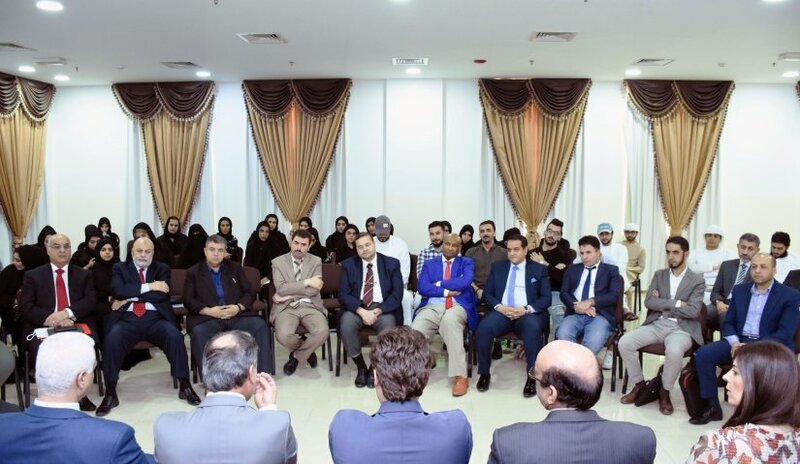 Prof. Belarbi stressed AFU’s keenness to look out after its students, noting that the academic and administrative staff members are ensuring to provide an appropriate educational environment for all its students.